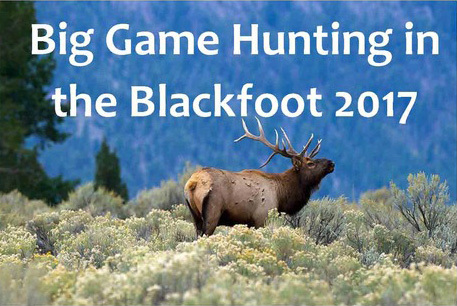 Taking place at the Seeley Lake Community Hall, just north of town on Highway 83. Featuring Molly Hackett for a return visit. 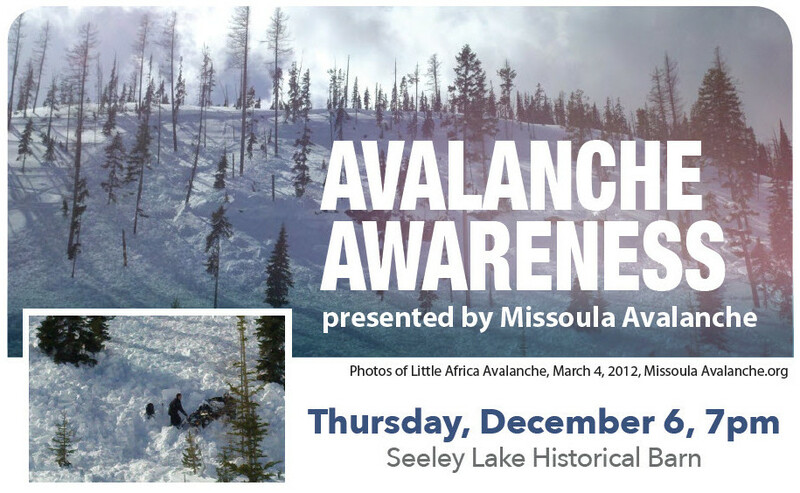 Taking place at the Seeley Lake Community Hall. 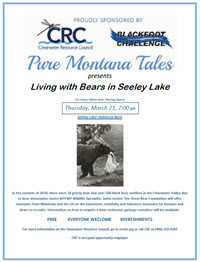 Learn about co-existing with bears in Seeley Lake. The Great Bear Foundation will offer examples from Manitoba and the US on the awareness, creativity and tolerance necessary for humans and bears to co-exist. Information on how to acquire a bear-resistance garbage container will be available. This will take place at the Seeley Lake Historical Barn. We hope to see you there. Join us at the Double Arrow Lodge. & free Double Arrow pizza! No RSVP required – bring a friend! featuring Carleen Gondor, MIS, Founder and Executive Director of Wildlife Field Forensics. Join us a the Seeley Lake Historical Barn for this event. "Walking Bear Comes Home" is a 56-minute documentary film about bear biologist Chuck Jonkel. Frank Tyro, co-director and principal cinematographer, attended the screening. Tyro worked with Chuck for over 30 years on the Arctic Ecology Field Courses sponsored by the Great Bear Foundation. Along with Frank, Jamie Jonkel, Chuck's son and MT FWP Wildlife Specialist, shared a few stories about his father. Learn more about Pure Montana Tales events. Learn about the impact of wildfire on fish, streams, wildlife and the forest featuring Scott Tomson, Wildlife Biologist, USFS and Shane Hendrickson, Fisheries Biologist, USFS. What are the short term impacts of wildlife being displaced or killed by wildfire? What is the effect on fish if streams burn hot? What was the impact of the Rice Ridge Fire on our habitat, fisheries and wildlife? If you’re interested in helping out, or just curious, please join us at The Hub (Bison and Bear Mall) Monday, Feb. 26 at 3 p.m. for a program introduction and training session. For additional information check out the Seeley Swan Pathfinder article from the February 22, 2018 edition. 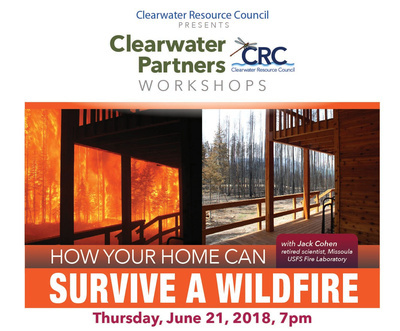 Celebrate The Clearwater is an annual BBQ event and this year it will honor the 10th Anniversary of the Jocko Lakes Fire. Join us at the Seeley Lake Community Hall. "Our Last Refuge" is a film about the struggle to end energy exploration in the Badger/Two Medicine Area. "Bud's Place" describes the life and times of Bud Moore, a USFS District Ranger, soldier, fur trapper, and wilderness advocate. -co sponsored by Mt. Wilderness Association. Adam Lieberg shared his expertise to help participants gain a better understanding of animal tracks they spot around the valley. The presentation was free and open to everyone. A two hour in-the-field tracking workshopfollowed the presentation. The workshop was also free but limited to 14 people. If you're new to the group, an orientation is planned for 4:30 P.M.